Between his campaigns with New Zealand youth and senior national teams, goalkeeper Max Crocombe has been making a name for himself in England, recently signing with National League North team Salford City FC for their 2017/2018 season. 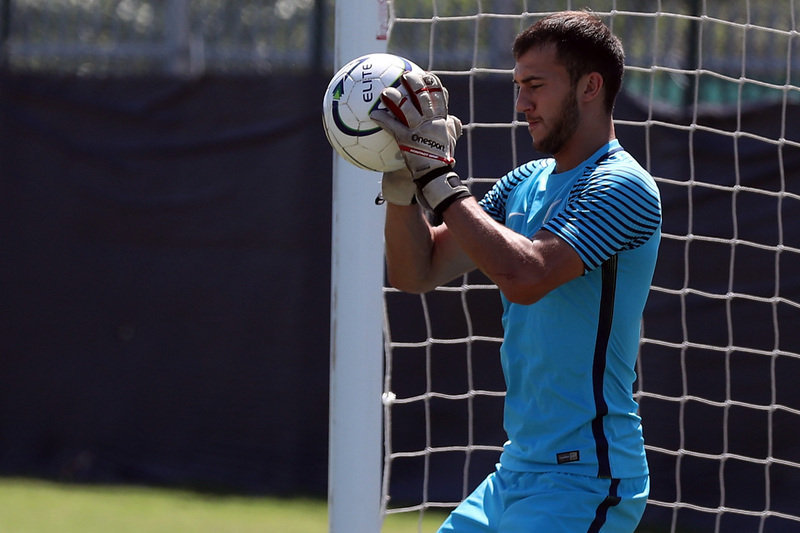 In 2013, Crocombe contributed to New Zealand’s fifth title and received the Golden Glove award in the OFC U-20 Championship, then in 2016, he joined the All Whites in Papua New Guinea for the OFC Nations Cup. With both national teams reaching the world stage – qualifying for the 2013 FIFA U-20 World Cup and the FIFA Confederations Cup Russia 2017 – Crocombe is feeling confident about making history with his new Kersal-based club. “I joined Salford because it’s a big project – and an exciting one – and I feel we can get into the National League,” he said. Promoted into the sixth tier league for the 2016/2017 season, Salford City FC finished in fourth place after falling to FC Halifax Town through a penalty shootout in the second leg of their semi-final play-off, but Crocombe hopes his quick hands will see another promotion for the side in the 2017/2018 season. Crocombe was born in Auckland, New Zealand, but moved to the United Kingdom when he was still a child. At age 16, Crocombe signed for United Counties League Division One club Buckingham Town – where he made 33 first team appearances – and has been climbing up the English football ranks ever since. “I’ve played at Oxford United, Nuneaton Town, Barnet, Southport and Carlisle United,” he said. Although the 23-year-old’s focus this year is on reaching higher level in English club football, his biggest dream is to make history with the silver fern on his chest. “I’d want to win the World Cup,” he said. With New Zealand still in contention for the 2018 FIFA World Cup Russia™, Crocombe’s chance at achieving his dream could be just around the corner.